Start browsing around and get a sense of what we do. Get started with our introductory private lesson if you're new. Get to know our rockstar team and then meet them in the flesh at the studio. We're nice people. We swear. Ready to dance? Register for classes or private lessons online or do it from our iPhone or Android app. It's so damn easy. Take your first introductory private lesson and start dancing today. 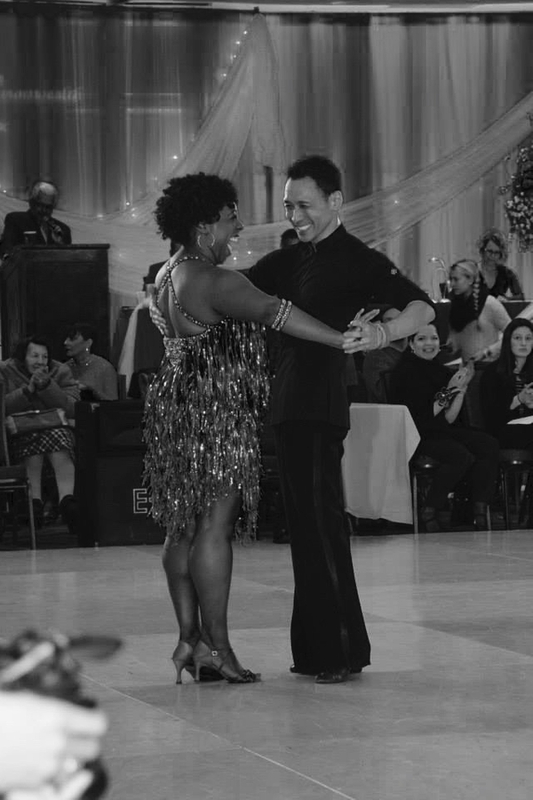 "I always wanted to try ballroom but was a little nervous since I don't exactly fit the typical ballroom mold. I was hooked after my first lesson and wanted more. " "Had two left feet before stepping foot into the studio. Now I'm competing for first place prize in ballroom dancing! Never would have thought this would happen."